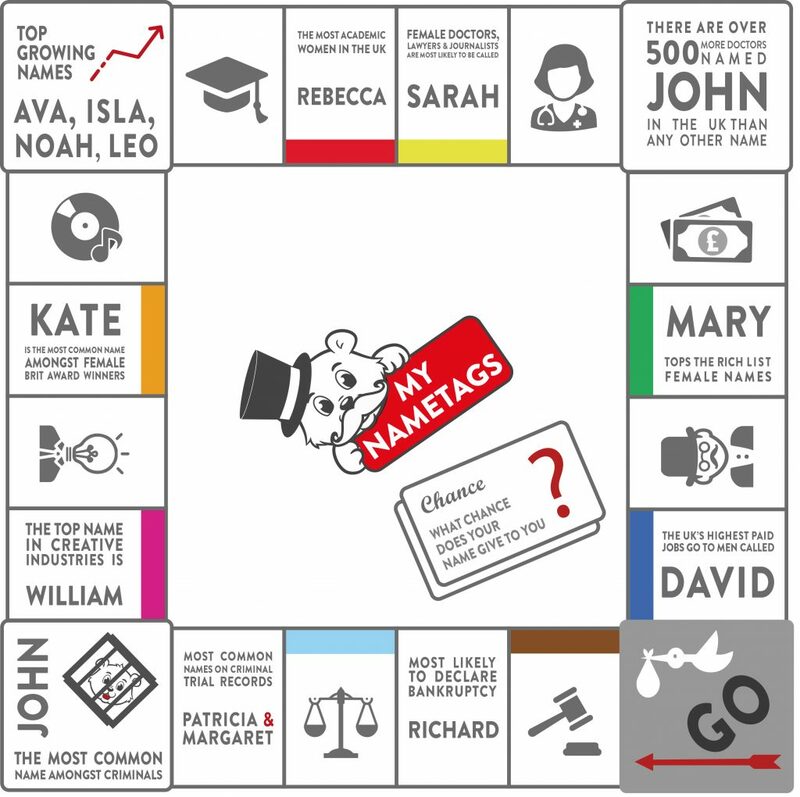 Names are at the heart of what we do so we were curious to find out more about the link between our names and our chances of success when we launched our latest piece of research. Using existing data from trade bodies, university databases and court records among others, we investigated whether our names really can have an impact on how successful we are in life and the paths we choose to take. The results are fascinating! The top name amongst Members of Parliament, lawyers, and Millionaires, is David. It is also the most common name amongst Met Police officers. 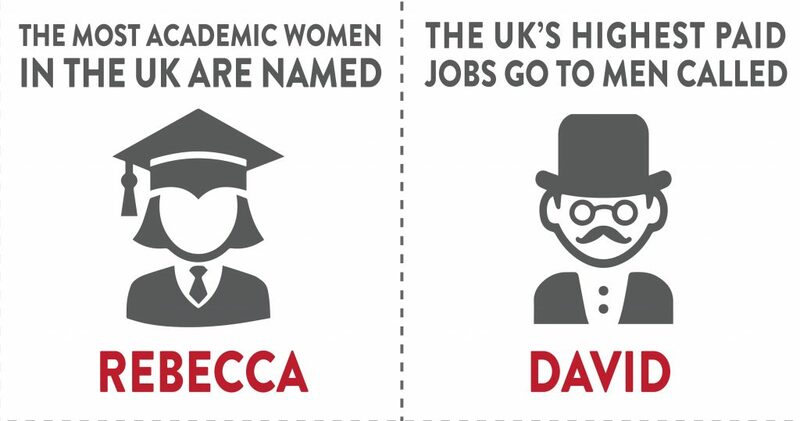 It seems academic success favours women called Rebecca, as this name is the most common at both Oxford and Cambridge universities. ‘Anna’ and ‘Emma’ also feature very regularly in current university intakes suggesting women with names ending in ‘a’ are likely to head down the academic route. The most common male names at top universities are James and Thomas, but ‘Matthews’ are more likely to graduate from Cambridge and Alexanders from Oxford. From a business perspective, ‘Steves’ and ‘Peters’ seem to do very well – these are the top names for FTSE 100 company CEOs. For female FTSE 100 CEOs there are more ‘Alisons’ listed than any other woman’s name. Mary is a female name linked to success too; this name appears frequently in the Sunday Times Rich List and tops the charts of published authors. Unfortunately, Richards appear to do less well; this is the most common name for individuals who filed for bankruptcy in the first three months of 2018. With such interesting trends across different names, we were intrigued as to the conclusions that could be drawn from these findings. Leading Clinical Psychologist, Linda Blair, shed some light on the subject. “Parents are often convinced that the names they choose for their children reflect only their own personal preferences and family history, without any regard to those around them. In truth, however, we’re all heavily influenced by the people we see around us, particularly those in prominent positions. Without realising it, we come to like certain names because we admire the achievements of the individuals who have those names – achievements and abilities we may then encourage in our own children. “And it doesn’t stop there. A recent study  by Yonat Zwebner and colleagues at Hebrew University of Jerusalem, carried out using both Israeli and French participants, suggests that we may also – again, without being aware of doing so – copy the appearance of others who share our name. Following on from the creativity of Marys as authors, Williams feature highly in artistic circles, often becoming authors and artists. Women called Kate often enjoy musical success with this name being the most common among female Brit Award nominees – for example, Kate Tempest was nominated for Best British Female Solo Artist at this year’s awards. Even further down the success rankings we have the names John, Patricia and Margaret appearing most frequently on criminal trial records. In an interesting twist, John is a clear winner for the name of a doctor, with 500 more people practicing with this name than the second most common which is David. The most common female name for doctors is Sarah, which is also the most frequent name for female lawyers and journalists. In terms of sporting prowess, Chris and Laura are the names that dominate British Olympics, Sir Chris Hoy and Laura Kenny being excellent examples. Interestingly shortened names are popular amongst professional footballers with players called Dan, Tom and Sam the most common in the Premier League. The findings show that traditional names are still prevalent amongst the most successful individuals in the UK. However, analysis of the My Nametags database suggests that the millionaires of tomorrow might include a few new names with Ava, Isla, Noah and Leo identified as the top growing names this year. What are your thoughts? We’d love to hear from you! Tweet us @MyNametags or join the conversation on our Facebook page. Prince ‘Hairy’: Our research reveals how parents across the world feel about names and our advice if you’re planning to place a bet on the Royal baby name. Get fit with the kids! Get social and you could win labels! WE’RE CELEBRATING ALL LITTLE INVENTORS AROUND THE UK! Win a set of Little Miss Inventor nametags by sharing your inventions with us!